Welcome to the August edition of our Local Government Briefly. > Procurement - Unsolicited bids: Are they worth the trouble? Norman Waterhouse hosted the 25th Annual Local Government Conference on Friday August 8th at the Adelaide Zoo Sanctuary. Being South Australia’s largest legal conference for local government, the event attracted an outstanding attendance of 225 delegates with representatives from most of the state’s 68 councils, as well as State Government. A planning stream run by Partner, Gavin Leydon, covering a review of all the important cases in the past 12 months. A discussion facilitated by Partner, Sathish Dasan on ICAC and its impact on local government since its introduction 12 months prior. A hypothetical session involving 10 of the firm’s senior practitioners based on the redevelopment of a metropolitan centre with a variety of issues relating to procurement, probity, community groups, contaminated land, public health, Development Plan Amendments, land division, governance issues and developer input. The event concluded with a keynote address from Brian Hayes QC, Chair of the Expert Panel on Planning Reform, followed by the Hon. Martin Hamilton Smith MP, Minister for Investment and Trade, Minister for Defence Industries and Minister for Veteran Affairs, who chaired the plenary session. To celebrate the event’s special 25 year anniversary, afterwards guests were treated to cocktails in the Bamboo Forest featuring the sights of Wang-Wang and Funi. Norman Waterhouse Chairman of Partners Sean Keenihan said this year’s conference was the most successful event in the event’s 25-year history. “The program we delivered was thought provoking and informative for our local government delegates and the feedback we’ve had has been overwhelmingly positive,” he said. If you attended the conference, we encourage you to provide feedback so we may continue to improve this event. Please click here for the link to evaluate the conference. An employer has an obligation to take reasonable steps to prevent discrimination or harassment occurring. Failing to meet these obligations could now be much more expensive. In the recent decision of Richardson v Oracle Corporation Australia Pty Ltd  FCAFC 82 (Richardson), the Full Court of the Federal Court overturned an initial award of $18,000 and instead awarded $130,000 against an employer for the sexual harassment of a staff member. Ms Richardson, a former consulting manager employed by Oracle Pty Ltd (Oracle), alleged that Mr Tucker, a sales representative within the same team, repeatedly made comments of a sexual nature to her over the course of six months. She lodged a complaint to her manager and human resources. Oracle conducted an investigation which substantiated Ms Richardson's claims. Mr Tucker issued an apology and Oracle reallocated her within the organisation. Ms Richardson subsequently resigned and brought sexual harassment claims against Oracle and Mr Tucker. At first instance, the Federal Court found in favour of Ms Richardson and awarded $18,000 as general damages for emotional suffering. As evidence of the reasonable steps taken to prevent sexual harassment, Oracle claimed that it had policies in place and provided adequate training to employees. However, the trial Judge found that this was insufficient as the policy did not clearly state that sexual harassment was against the law, and the policies made no reference to Australian legislation, which prohibits sexual harassment. Ms Richardson appealed the amount of damages awarded. The Full Court of the Federal Court allowed the appeal and stated that the award of $18,000 was ‘manifestly inadequate’. It determined that the assessment of damages should be made having regard to the nature and extent of injuries and ‘prevailing community standards’, and not based on the historical range of figures awarded in past sexual harassment cases. The decision considers that a greater value should be placed on the pain, suffering and the loss of enjoyment of life. Ms Richardson's award was increased seven-fold from $18,000 to $100,000 in general damages, and also an additional $30,000 for economic loss. Employers should be mindful of the shift in the judiciary’s approach to the award of damages. The decision does not indicate a change to employers' obligations or liability under anti-discrimination law, but it represents a significant increase in the financial consequences for employers if found in breach of anti-discrimination laws. Employers should regularly review and update workplace policies dealing with discrimination and harassment, and ensure that employees are aware of the importance of the adherence to, and the consequences, of a breach of these policies. Training of employees in relation to policies and obligations is also important, as is continuous monitoring of employee behaviour. An employer should take immediate action when it becomes aware of inappropriate conduct and not wait until a complaint is lodged. Managers should also receive training on the risk in this area and their obligation to monitor, prevent and manage inappropriate conduct in the workplace. On 6 August 2014, the State Government introduced into South Australian Parliament the Return to Work Bill 2014 (RTW Bill) and the South Australian Employment Tribunal Bill 2014 (SAET Bill). These Bills are intended to overhaul South Australia’s workers compensation framework, and were foreshadowed by pre-election policy statements of the now returned State Government. We provide a brief overview of the major changes in each Bill below. The RTW Bill repeals the Workers Rehabilitation and Compensation Act 1986 (SA) in its entirety. It is envisioned that the new legislation will streamline the current framework, in turn leading to efficiency benefits and lower premiums. WorkCover will be renamed as the ‘Return to Work Corporation’. Self insurance will continue to apply. The RTW Bill provides a scheme which, while similar in some respects to the present scheme, has certain substantial differences. The most important difference flows from the fact that the new framework is particularly focused on an injured worker's swift return to work. The powers to enforce return to work will be much more prescriptive. The emphasis on return to work leads to the imposition of even greater obligations on employers. The RTW Bill imposes the familiar obligation upon employers to provide work for incapacitated workers. However, the RTW Bill then provides that workers can apply to the South Australian Employment Tribunal for an order that their pre-injury employer provide them with specified employment if that employer ‘fails, within a reasonable time, to provide suitable employment to the worker’. It is not clear if that obligation to provide suitable employment will continue after a worker’s entitlement to compensation ceases. The RTW Bill changes a worker’s entitlement to weekly compensation by introducing a distinction between ‘seriously injured’ workers (being Whole Person Impairment (WPI) of 30% or more) and other, non-seriously injured workers. The RTW Bill imposes an income support cap of two years for non-seriously injured workers (with an entitlement to payment of medical expenses extending for one year from the cessation of income maintenance). A worker assessed with less than 30% WPI has no ongoing entitlement to weekly compensation after two years from the date of the injury. Of additional importance to employers are the provisions in the RTW Bill which introduce potential liability for damages under common law for employers, in certain circumstances. Accordingly, employers may be liable in negligence, breach of statutory duty or other common law proceedings separately from their liabilities in the workers compensation framework. This is a substantial change to the existing regime. It is expected that a worker will need to meet a threshold of 30% WPI before a right to claim common law damages will arise. The liability to pay such damages will rest with the Return to Work Corporation. It is presently envisaged that the new framework will apply to all existing injuries as though they occurred on the day the new framework comes into effect. This would have the significant effect that workers who previously had an ongoing entitlement to weekly compensation will lose that ongoing entitlement if they are not ‘seriously injured’. The SAET Bill seeks to replace the Workers Compensation Tribunal with a ‘South Australian Employment Tribunal’ (SAET). The procedures and powers of the SAET are proposed to be markedly different to those of the present Tribunal. The SAET Bill seeks to confer upon the SAET powers to compel the attendance of persons and production of evidence, to visits land and buildings, and to refer questions to an expert for investigation and report to the SAET. These inquisitorial powers will be coupled with overall informal and non-technical procedures. The Attorney-General has likened the proposed procedures and powers of the SAET to those of the South Australian Civil and Administrative Tribunal (which you can read about here). At this stage, the Bills have not undergone any debate in Parliament. It is likely that such debate will result in some degree of amendment before either Bill becomes law. While we note that there appears to be general support for workers compensation reforms, there is always a possibility of substantial amendments to the either or both of the RTW Bill and the SAET Bill as they progress through Parliament. Additionally, there is ultimately a possibility of the rejection of the Bills or their referral to a Committee (and associated delays). If the Bills are passed this year, the Government envisages that the new ‘Return to Work’ framework will be operational by 1 July 2015. We will keep you informed of all material developments regarding these important reform proposals. For more specific information on any of the material contained in this article please contact Sathish Dasan on 08 8210 1253 or sdasan@normans.com.au or John Ward on 08 8210 1219 or jward@normans.com.au. Procurement - Unsolicited bids: Are they worth the trouble? Both the public and private sectors recognise that sustainable savings can come about from the supply chain. Certainly, Local Government is squarely focussed on how spend can be optimised to deliver the greatest efficiency dividends. Local Government has an opportunity to strengthen its collaboration with the private sector to leverage the private sector’s expertise and experience and in this way take advantage of the potential to harness the best ideas and innovations for the benefit of ratepayers. This is commonly done by way of unsolicited bids. In this way, Local Government has the opportunity to catch innovative ideas from industry that have the potential to provide real and tangible benefits to their community. Traditionally councils have shown reticence to accept unsolicited bids, on the basis that they somehow offend the rules of probity. My view is that so long as councils have a transparent framework that sets out a clear, accountable and consistent process for project assessment and contracting, when a private sector party approaches a Local Government entity with an unsolicited proposal there is not automatically a probity breach. The key to successful procurement outcomes from unsolicited bids is to strike a balance between providing confidence and certainty with respect to the process to the private sector, encouraging new and innovative ideas from them but doing so in a way that is accountable, transparent, fair and in the public interest. Particularly, councils need to be mindful of their section 8(h) and section 49 of the Local Government Act, 1999 obligations as well as their own governance frameworks. These should include a policy which sets out how unsolicited bids will be dealt with. Councils also need to be mindful of managing relevant stakeholders during any unsolicited bid in an appropriate way. Any actual or perceived impropriety will most likely be the subject of a complaint to the Office of Public Integrity, the Ombudsman and/or the media, but the council is able to take active steps to avoid this occurring. Ultimately, the benefit of having an appropriate participation agreement in place is that it provides a transparent and consistent assessment process for the council to consider any unsolicited bids. For more specific information on unsolicited bids or any of the material contained in this article please contact Mary-Alice Paton on 08 8217 1357 or mpaton@normans.com.au. The Australian Road Rules, Road Traffic (Miscellaneous) Regulations 1999 and Road Traffic (Road Rules - Ancillary and Miscellaneous Provisions) Regulations 1999 interact in various important, and sometimes complex ways. On 1 September 2014, all three of these instruments will be replaced by an updated Australian Road Rules, as well as the Road Traffic (Miscellaneous) Regulations 2014 and the Road Traffic (Road Rules – Ancillary and Miscellaneous Provisions) Regulations 2014. Additionally, new Private Parking Areas Regulations 2014 will also come into force on 1 September 2014. These updates are occurring due to the expiry of the current Regulations. There are several minor substantive changes being introduced in these updates which are of relevance to councils. Private parking areas offences will be slightly modified. The offence of stopping on a “traffic island” (being a structure on a road to direct traffic) will be introduced into the Australian Road Rules. Additionally, the definition of a bicycle lane will be changed to permit a bicycle lane to start and end at points where a white bicycle symbol and the words “lane” are painted in white on the road (presently a sign is required to start a bicycle lane, and a sign, intersection or end of a road is required to end it). Also of some importance is the fact that many provisions have now changed number, with some provisions even moving between legislative instruments. For example, the proviso presently in Rule 205A of the Australian Road Rules regarding parking in a bicycle lane, bus lane or transit lane in an area where a permissive parking sign applies will be moved to the Road Traffic (Road Rules – Ancillary and Miscellaneous Provisions) Regulations 2014. These legislative updates will require some changes to enforcement practices, and corresponding updates to Council documentation and hand held expiation devices. Traffic/Parking Compliance Officers and Managers must familiarise themselves with the new Australian Road Rules, Road Traffic (Miscellaneous) Regulations 2014, Road Traffic (Road Rules – Ancillary and Miscellaneous Provisions) Regulations 2014 and Private Parking Areas Regulations 2014. These new instruments will have an expiry date of 1 September 2025. For more specific information on any of the material contained in this article please contact Paul Kelly on 8210 1248 or pkelly@normans.com.au. Got $3 million to spend on a development? Want to bypass your local council? Are you suffering from “blockages” in trying to get your project “over the line”? If your answer is, “yes, yes, YES” then, like some form of regulatory laxative, the new ‘significant developments’ regime might be just what you’ve been praying for. On 14 August 2014, the Government amended the Development Regulations 2008 with the changes set out in the Development (Assessment of Significant Developments) Variation Regulations 2014 (Variations). Many of our readers would be generally familiar with the provisions of the Development Act 1993 which provide for major developments. Once a development or project is declared as a major development or project (because it has major environmental, social or economic importance) it is no longer subject to ordinary planning laws. Major developments are determined by the Governor (on advice of the Minister) and assessed by means of an environmental impact statement, public environmental report, or a development report which addresses project-specific guidelines which have been formulated by the Development Assessment Commission. The Variations now introduce a lower tier of development which is not major enough to be major development, but is sufficiently significant to warrant being removed from the hands of the local council and given behind-the-scenes assistance by the State Coordinator-General (Jim Hallion, Chief Executive of the Department of Premier and Cabinet) and his Task Force. assessment of which would be best achieved under a scheme established by the Department of the Minister (DPTI) to facilitate the assessment of such developments. Once such a determination is made, the Development Assessment Commission becomes the relevant planning authority but, despite the dot point above, the development would seem to then undergo an ordinary planning assessment. Exactly what the “scheme established by the Department” is (or will be) is entirely unclear. No provision is made for the establishment, publication, or use of such a scheme. How developers may expect their approvals to be sped up, or their blockages, ahem, unblocked is not clear from the Variations. As best can be gleaned from the Premier’s 8 July 2014 press release, and the Coordinator-General’s website, the Coordinator-General will perform an advisory and liaison role for significant developments – a single point of contact. Perhaps the Commission will assign significant developments to an internal fast track. Importantly for our council clients, although the Premier has flagged assistance with blockages “such as planning, environment, council regulations, water, liquor licensing and so on,” the Variations do not give power to the Coordinator-General to override any decisions still to be made by a council (for example, what it may report to the Commission, whether it will grant encroachment or roadworks authorisations, whether it will grant a business use permit, and whether it will intervene in liquor applications). For more specific information on any of the material contained in this article please contact David Billington on 8210 1263 or dbillington@normans.com.au. The Kangaroo Island Council’s decision to apply the notice of termination provisions in the South Australian Municipal Salaried Officers Award (SAMSO Award) to its former Deputy Chief Executive Officer (Deputy CEO) has been decisively upheld by the High Court of Australia. The Deputy CEO had argued at trial in the District Court and again on appeal to the Full Court of the Supreme Court that she should have been provided with ‘reasonable notice’ of termination (or payment in lieu thereof) under common law, rather than notice in accordance with the SAMSO Award. This argument was unsuccessful on both of those occasions. A further attempt to appeal to the High Court of Australia has now been rejected (Brennan v Kangaroo Island Council  HCASL 153, A2/2014), bringing the proceedings to an end. Accordingly, it is now settled that the notice of termination provisions in the SAMSO Award exclude the application of the doctrine of ‘reasonable notice’ to employees covered by that Award. Accordingly, and subject of course to relevant terms of any applicable enterprise agreement or contract of employment, councils can validly terminate the employment of any employee covered by the SAMSO Award (which, as recently decided, does not include the Chief Executive Officer) with notice as prescribed in the SAMSO Award. 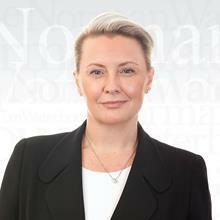 For more specific information on any of the material contained in this article please contact Amanda Green on 08 8217 1306 or agreen@normans.com.au. The Remuneration Tribunal has completed its four yearly review of council member allowances in South Australia, and has issued new determinations which are effective upon the conclusion of this year’s general elections. The Remuneration Tribunal has made its determinations after taking into account written and oral submissions regarding this subject from both within and outside local government. As with the previous 2010 determination, councils have been divided into “groups”. However, certain councils have moved groups, and a new group – “1B” – has been added. This brings the total number of groups to six. In addition, The Adelaide City Council is treated separately from the group system. Within each council there is a “base allowance” to which all councillors are entitled ($5,700-$21,500, depending on “group”, indexed annually). The principal member is entitled to four times the base allowance. Deputy principal members are entitled to 1.25 times the base allowance. A council member who does not fit any of the above descriptions (i.e. is not the principal member, deputy principal member or the presiding member of one or more prescribed committees) is entitled only to the base allowance. However, if such a council member is the presiding member of a committee which is not a prescribed committee, they will be entitled to a “sitting fee” for such committee meetings ($100-$200 per meeting, available to a cap of $600-$1,200 per annum, depending on “group”, indexed annually). Additionally, new ‘travel time allowances’ have been set for council members in non-metropolitan councils. These travel time allowances vary depending on the distance of a council member’s usual place of residence from the principal office, and are payable in addition to reimbursement for expenses actually incurred. Unlike previously, the travel time allowance will be indexed annually. which members are entitled to a travel time allowance, and the extent of that allowance. It should also be noted that the Adelaide City Council is dealt with in a separate, largely similar determination to other councils. Allowances for the Adelaide City Council are higher than other councils. Additionally, the Lord Mayor and Deputy Lord Mayor are entitled to a proportionally higher allowance than equivalent members of other councils. For more specific information on any of the material contained in this article please contact Dale Mazzachi on 8210 1221 or dmazzachi@normans.com.au. On 18 January 2013 the Character Preservation (Barossa Valley) Act 2012 and the Character Preservation (McLaren Vale) Act 2012 came into operation. These Acts are known as ‘character preservation laws’ for the purposes of the Development Act 1993. When enacted, we noted that Section 6(2) of each Act required “any person or body involved in the administration of an Act” (i.e. any decision-maker) must, “when exercising powers and functions in relation to the [protected area], have regard to and seek to further the objects of that Act”. In our view this had potential to be incredibly far-reaching (and fertile ground for judicial review). For example, why would it not apply to decisions to grant driver’s licences or firearms permits to residents within the protection area? Or to liquor licences? Or to decisions about income tax (putting aside questions about the ability of the State to bind the Commonwealth). More pertinently, there has also been some confusion as to the extent to which a planning authority undertaking an assessment of a proposed development under the relevant Development Plan must also consider the objects of a character preservation law, and how it can make a decision which seeks to further those objects. In De Palma v The Barossa Council  SAERDC 22 the Environment, Resources and Development Court considered the relationship between the Character Preservation (Barossa Valley) Act 2012 (Preservation Act) and the principles of the relevant Development Plan. Mr De Palma applied to The Barossa Council (Council) for development approval to undertake land division by reconfiguring the boundaries and the respective areas of five existing allotments, together with the removal of a closed road. Although the number of allotments would not increase, the effect of the proposed division was to create an allotment with a far more useable shape than the existing closed road. The Council refused to grant Mr De Palma development plan consent. Mr De Palma appealed to the Environment, Resources and Development Court (Court). Amongst other arguments, the Council argued that the Preservation Act creates an additional step in the assessment of a development application in the Barossa Valley protection area, so that, separately from assessing a proposed development against the relevant provisions of the Development Plan, the relevant authority must, in accordance with Section 6(2), also have regard to and seek to further the objects of the Preservation Act. To impose procedural requirements and restrictions on land division applications in the protection area which create an additional allotment. Her Honour Senior Judge Cole upheld the Council’s refusal of Mr De Palma’s subdivision, and limited her review of the Council’s refusal to the relevant provisions of the Council’s Development Plan. Her Honour declined to determine which of the competing arguments as to the effect of Section 6(2) of the Preservation Act was correct. She found that it was unnecessary to make such a determination because any additional step taken under the Preservation Act, if required, was not the subject of the appeal before the Court. The Court’s judgment leaves planning authorities in a difficult position. In our view, possibly due to the way in which argument unfolded, the Court did not grapple with the precise obligation of Section 6(2). Is it, as argued by the Council in De Palma’s case an additional “step”, or does it in fact modify the decision-making process so as to add an additional consideration on top of, or alongside, the relevant development plan? We think it means the latter. Or does it, as argued by Mr De Palma, really have no effect at all on a planning assessment? The second reading speech (as quoted in the judgment) supports that argument but would, in our view, set Section 6(2) at almost naught. It is not at all evident from the plain words of Section 6(2) that it is limited “policy-setting” decisions (like Ministerial approval of development plans or the planning strategy). Indeed, the Preservation Act appears to be Parliamentary policy-setting for planning (including planning assessments) and other matters, which cannot be undone on the whim of the Government of the day (unless it has a majority in both houses of parliament). It seems that answers to these questions must wait for another day.